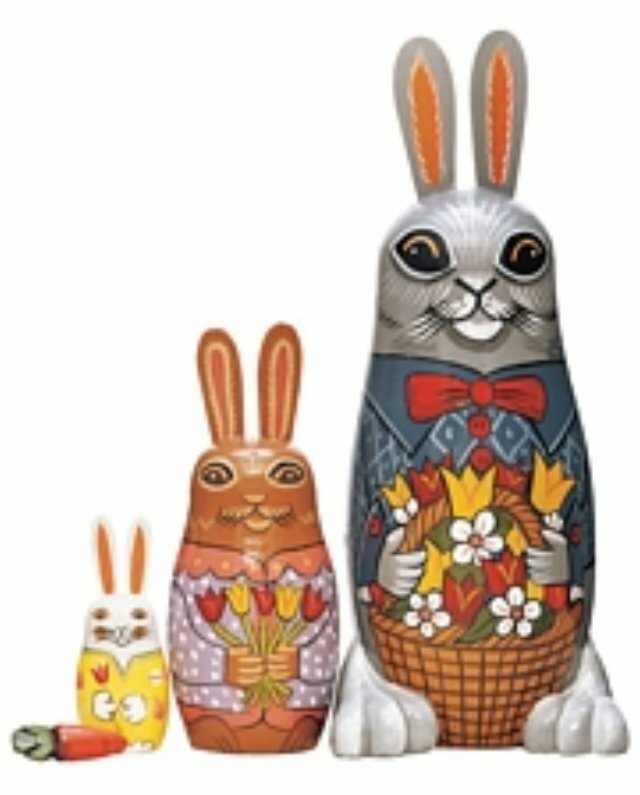 Delight your family and friends with this irresistible hand-painted bunny family nesting doll set with a tiny carrot hidden inside. Papa bunny measures 7 1/4" tall. A wonderful collectible to display or hold special trinkets.